The “South Island” is the stronghold of the dwarves. Originally known as Zur’Khel (Home Fortress), this is the ancestral home of all dwarves in Curabel and the seat of an empire that had ruled most of the isles up until several centuries before the Imperials arrived (the collapse of that empire is a mystery). 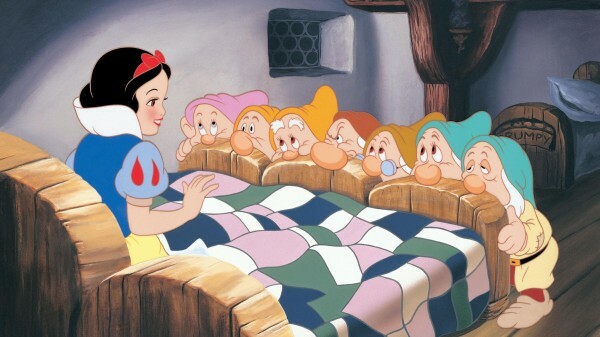 Slavery and ill-treatment have soured the dwarves on outsiders in general. Elves call this island Silverhome (Mithrihal). 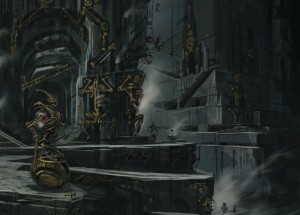 This isle supplies metals and precious stones throughout Curabel. Note: Curasur technically refers to several of the southernmost islands (hence the plural construction). However, in common usage, the name refers to the largest of these islands. The first big inspiration for the dwarves described above were the Dwemer elves in the Elder Scrolls series, both as something to borrow from and also react against. As the party in my campaign has discovered, the ancient dwarves once ruled the islands of Curabel and ruthlessly dominated and enslaved the native islanders using technology more advanced than anything the current civilizations of the islands possess. This clearly owes something to the Elder Scrolls series, as does the mysterious collapse of the dwarven empire two thousand years before the current campaign’s kickoff. However, unlike the Dwemer and most other dwarves, I didn’t like the idea of a major race being averse or indifferent to using magic – in fact, it just seems natural that the two would be combined by any powerful civilization that theoretically has access to both. The ancient dwarves of Curabel were therefore also the greatest mages known to the world because how could they not be if they were the undisputed rulers of the islands? 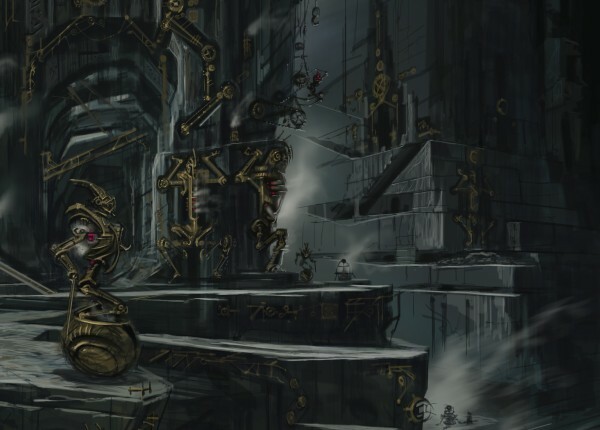 In fact, while I have used some “steampunk” type contraptions and automata, the majority of the dwarven technical creations that have come up in the campaign have been magic-powered (or electrical, which amounts to the same thing). Of course, I didn’t want to stray too far from any prospective players’ assumptions about the race (or those written into the rules as presented in the AD&D 1e core books). Therefore, I decided that whatever disaster had brought the dwarven empire to an end also soured the remnants on the techno-magic of their ancestors – making the “current” dwarves of the campaign world standard enough. 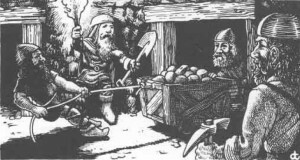 Players could then have their “normal dwarves” (or perhaps “fallen dwarves”?) explore the more alien ancestors of their race if that interested them (and it certainly has). The other influence on the dwarves started with me considering the logical ramifications of the clichéd idea that dwarven women were rare. What would that mean for their society if we also assume it has the patriarchal clan structure often seen in standard fantasy settings? Musing on that subject led me to think of the so-called “lost boys” of fundamentalist Mormon sects (see Wikipedia for more information on this phenomenon). To terribly over-simplify things, a traditionalist society with an endemic surplus of men will often develop a system to excommunicate “extraneous” males so that the socially powerful have less competition for mates. In Curabel, that means the dwarves have a complex system of social expectations with often contradictory requirements so that punishments for violation can be enforced arbitrarily by the patriarchal leaders of the clans. Younger sons and dwarf boys from socially insignificant families can easily find themselves in violation of some of the arcane (in the non-magical sense) rules and therefore exiled — which is, incidentally, a perfect way to create adventurers out of members of an otherwise insular society. While my current campaign in the setting hasn’t explored this idea in too much detail, the two dwarf player characters created backgrounds for themselves as an exiled heir to a clan leadership ousted by an uncle (think Hamlet) and the youngest son of an influential merchant. I imagine if they ever return to their homes, these “lost boy” issues might become more of an immediate concern. So that’s the basic kernel of the idea behind the dwarves of Curabel: fundamentalist Mormons from Morrowind. More about the dwarves and their history has been revealed since the inception of the campaign, but I will discuss those as I post annotated session summaries (hopefully beginning next week). That certainly explains a lot that we have learned the last few sessions.